Param Pujya Panyas Chandrashekharvijayji attained kaal-dharma (passed away) yesterday at Ahmedabad. 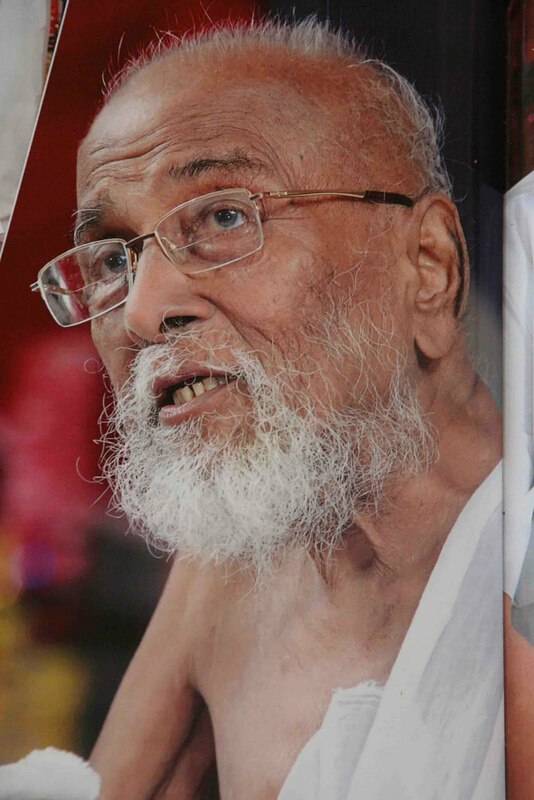 He was a Jain monk, an inspiration and idol to many Jains throughout the country. My entire religious thinking has largely been shaped by his books and periodicals which I have read over the years. I was introduced to the persona of the Panyasji maharaj by my grandmother, Sarojben, who was an ardent devotee. I was thoroughly impressed by his unflinching loyalty to the agams (the Jain religious scriptures). He strongly believed that they were the ultimate truth and followed the tenets to the letter. While many fellow sadhus today have given in to using modern amenities, few sadhus and sadhvis like him strictly followed the stringent rules of the Jain monastic order. Till the very end, he did not use vehicles or electricity and lived a frugal life. He was one of the three famous disciples of one of the greatest stars to ever shine in the Jain firmament, Param Pujya Acharya Bhagvant Shrimadvijay Premsuri Maharaj. The other two disciples who passed away a few years back are Param Pujya Acharya Bhagwant Ramsuri Maharaj and Param Pujya Panyas Bhuvanbhanuvijayji Maharaj. These are all what my grandmother calls, "Chotha aara ni vangi" - basically people who actually belong to previous, purer eons but somehow have been born in this age! Very true indeed! Chandrashekharvijayji will be remembered most for the three Tapovans he set up. The Tapovans are schools that teach a blend of modern and religious curriculums. The students are true all-rounders and are encouraged to imbibe values of strong loyalty to the nation, purity of thought and action and care for the environment and the less privileged. His focus was entirely on the younger generation who he believed must be moulded in the right manner to build a stronger, more ethical nation. His monthly, 'Muktidoot' , was a phenomenal success with thousands of Jains (including I) totally hooked to it. His style of writing and complete dedication to the agams made many Jains swear by his word. His life, like many others before him, was not devoid of controversy. The controversies could not tarnish his image however and till the very end he was highly regarded by all Jain sects. I had the good fortune of obtaining his darshan twice, both times, coincidentally at the Sabarmati Tapovan. With his passing, Jains all over have lost the beacon of light, the torchbearer of the sangh and the voice of the agams forever.